Scope It! 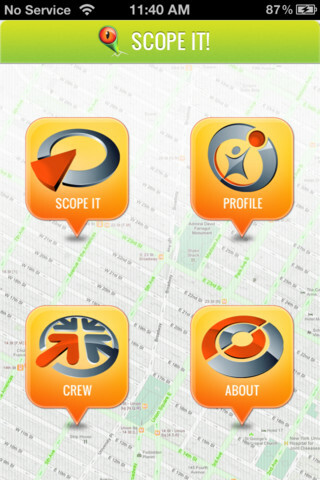 is an iPhone app developed by La Hammocka Corp. 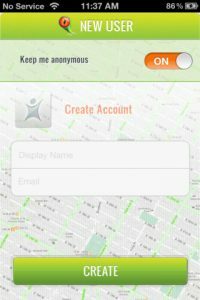 This social networking app helps people who are bored find something fun to do in their area. Unlike other apps of its kind, however, this app has a bit of an edge. If you want to find sporting events, concerts, or other more esoteric goings-on in your area, Scope It! allows users to build an account or search anonymously. You can connect to Facebook or Twitter as well, and share info through those channels. Unlike similar apps that provide similar event listings, this app isn’t a comprehensive list of local events. Rather, it is a way for people to share info about something cool in the area. This makes it good for finding both scheduled and spontaneous events. While it hasn’t been updated since December, Scope It! is still an excellent little tool. One thing that makes it exceptionally awesome is the “disposable” nature of the app. “All posts self destruct in hours, so everything you see is relevant and happening right now,” the App Store explains. There is no need to build a network or find friends to follow on Scope It! Everyone who downloads Scope it! shares the same map, which is pretty cool. I could see this being a great way to find pop-up restaurants, surprise concerts, or secret parties. Overall, the Scope It! interface is very simple to navigate, and thoughtfully designed. It is all map-based, so you can learn not only what is going on nearby, but precisely where it is located on a map. If you hate to be out of the loop, Scope It! is a good way to get the word out about an event, or find something interesting to do in your area. 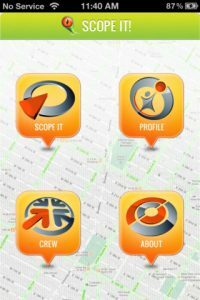 Scope It!is compatible with iPhone, iPod touch, and iPad. Requires iOS 4.3 or later.